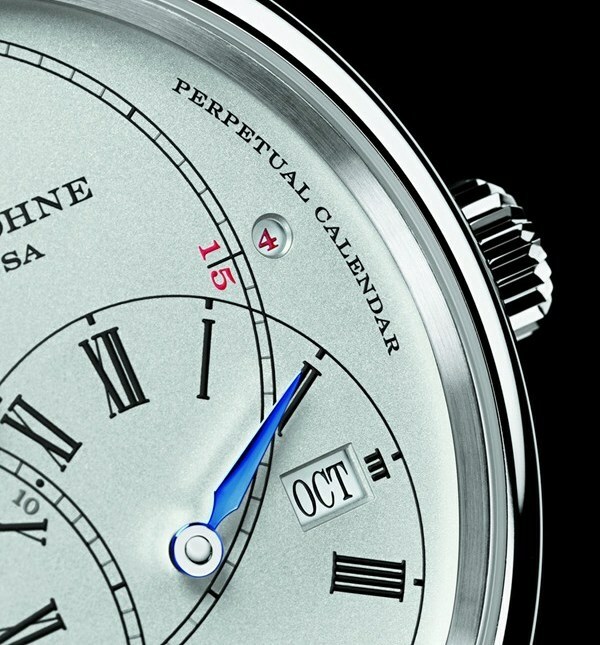 Proving once more that Saxon codes of watchmaking necessitate different proportions, Glashütte-based A. Lange & Söhne reveals its latest vision for the perpetual calendar, and makes room for an innovative moon phase display with day/night indicator. 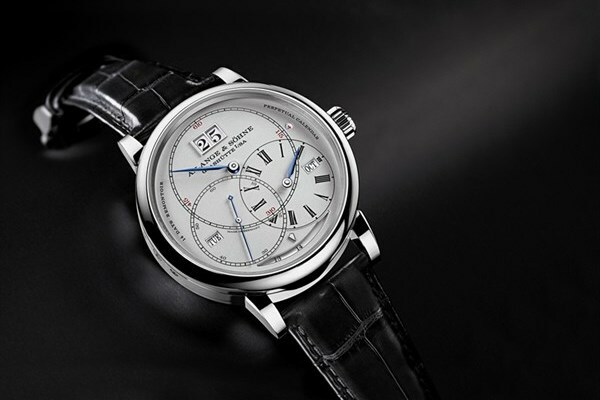 The watch is so technically beautiful that it will surely make our (and many other) best-of lists for 2014. 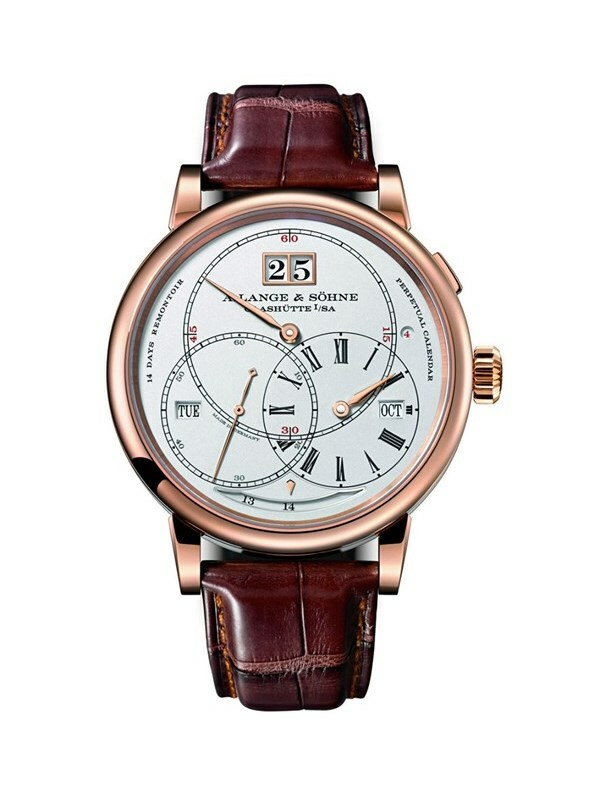 For now though, a few details… The Richard Lange Perpetual Calendar “Terraluna” wristwatch features the traditional regulator split of time, with hours, minutes and seconds each receiving its own subdial, that collectors have come to expect from the Richard Lange collection. 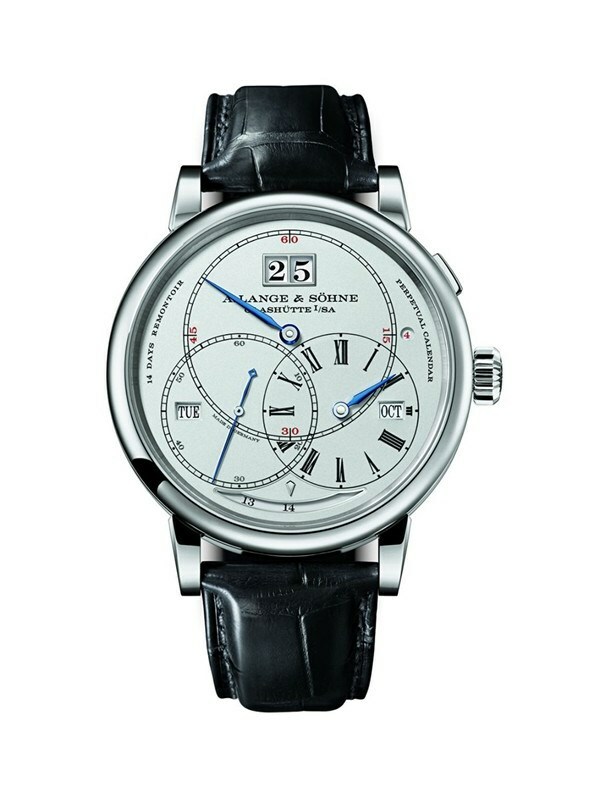 To this basic information, A. Lange & Söhne have added a perpetual calendar, with instantaneously changing day, month and date indicators; as always, the oversized date display is of the typical double disc variety. 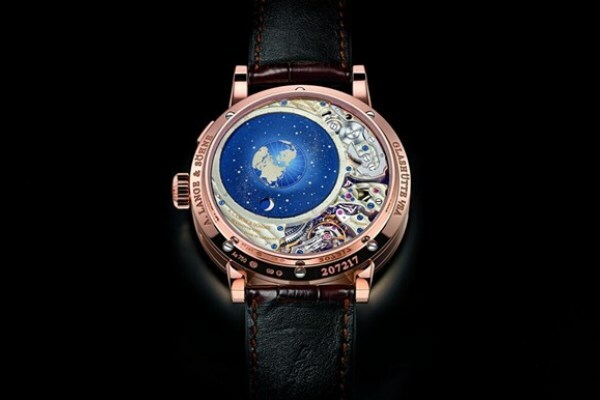 This alone would merit attention but A. Lange & Söhne have gone one better by putting a patent-pending orbital moon phase display on the caseback. 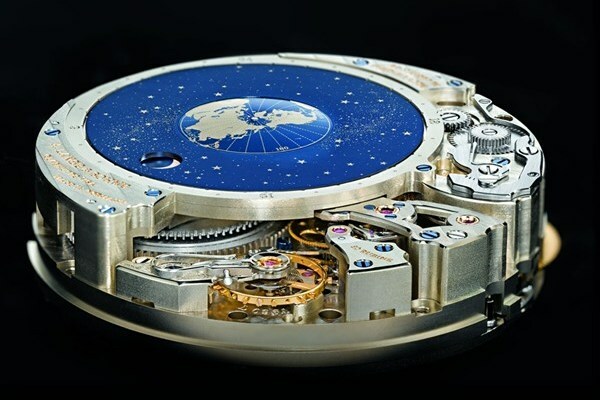 Besides showing the phases of the moon, it also shows the position of the sun and the moon as an observer in the northern hemisphere would see them; this display also doubles as the day/night indicator. As you might imagine, the manually wound calibre L096.1 is a thing of beauty, with no less than 14 days of power reserve driving all the indications of time. 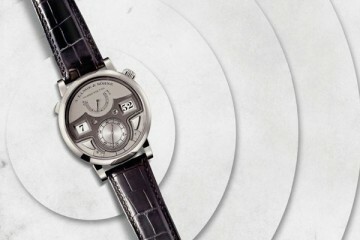 Especially notable here is the constant-force escapement with remontoir. 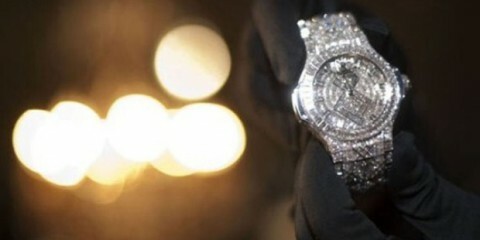 Offered in white and pink gold, the case is a hefty 45.5mm, with a thickness of 16.5mm.